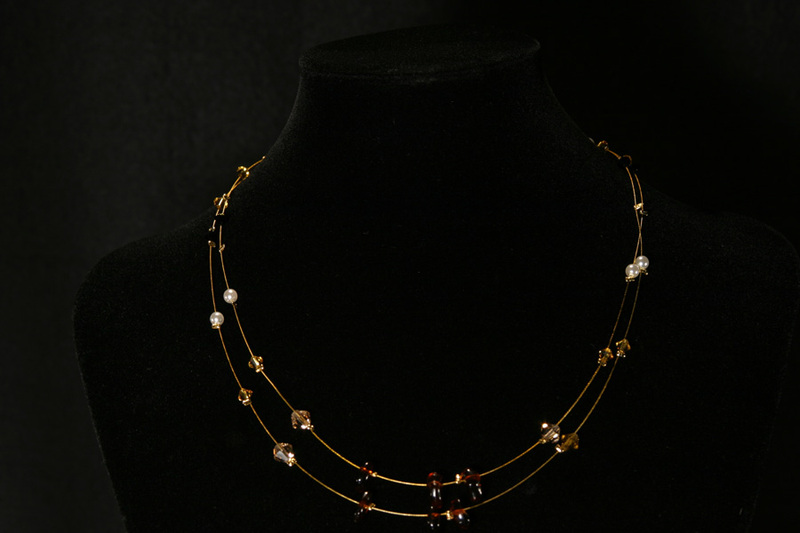 Delightful Retro style double necklace of Swarovski Xillion crystals, teamed with classic coloured smooth brown stones and silver plated findings. Very modern colour theme and a lovely gift for that special person. 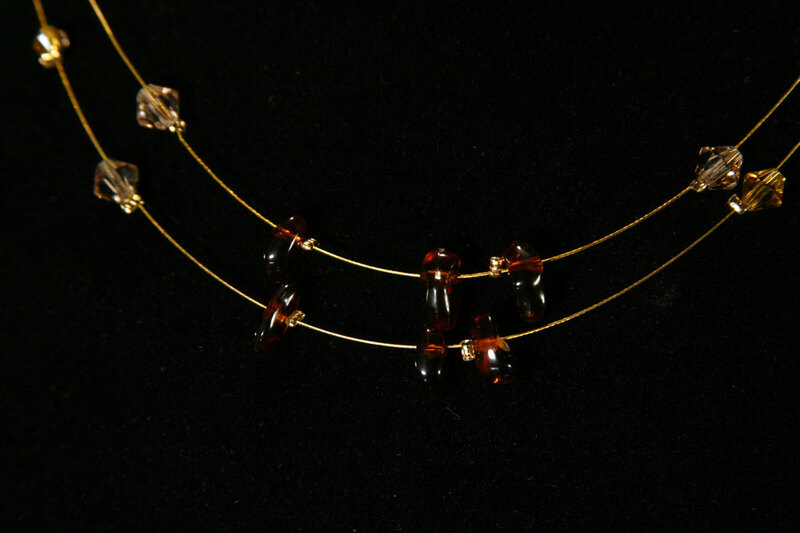 If required to complete a set, we can create earrings and bracelet to match.